The Culver City Film Festival brings together a diverse group of filmmakers to share recent work and recognize local talent in a city celebrated for its cinematic history and cultural depth. 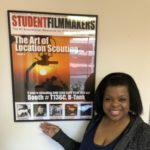 Featuring both up and coming and experienced filmmakers, the festival hopes to provide a venue for independent film that deserves exposure and recognition. For more information, visit http://culvercityfilmfestival.com/.